In 2017, social media ranked above store visits and TV advertising as a source of information for purchases in Asia, according to research from WARC. The micro influencers marketing campaigns became a staple thing for most marketing strategies in the APAC region. The outstanding engagement rates of the opinion leaders attract brands, while regional peculiarities make Asia the best ground for implementing the influencer marketing. Companies are waking up to the influencer marketing trends and are on the lookout for skilled professionals who can lead influencer marketing campaigns for their brands. This demand has led to a dearth of social media marketing professionals. In situations like this, a social media course could take you a long way. With the right social media course, you’ll learn all there is to learn about how to find and outreach influencers and how to use them to raise your website’s brand and ratings. 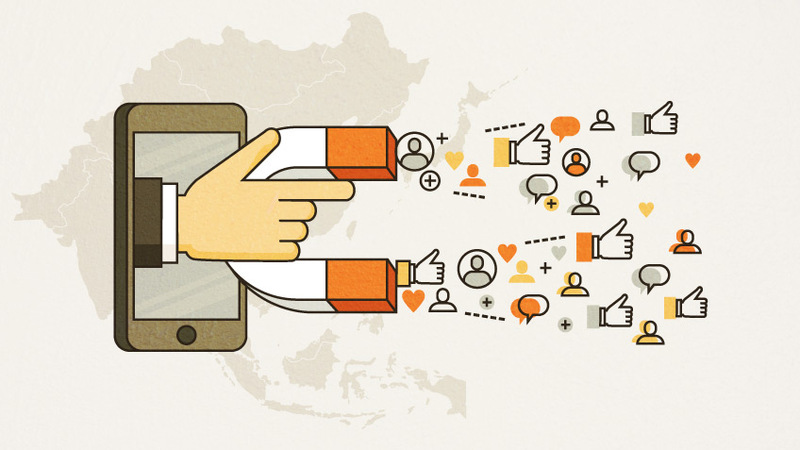 Why is Influencer Marketing in Asia so special? Influencer marketing is the most cost-effective customer acquisition channel today. On average, businesses in Asia generate $6.50 for every $1 invested in micro-influencers. There are some specific factors that drive this outstanding number. Asia is extremely saturated with mobile technologies. The smartphone penetration throughout the generations is way over 50%. The mobiles are everywhere, and they’re much more common than the desktop computers. 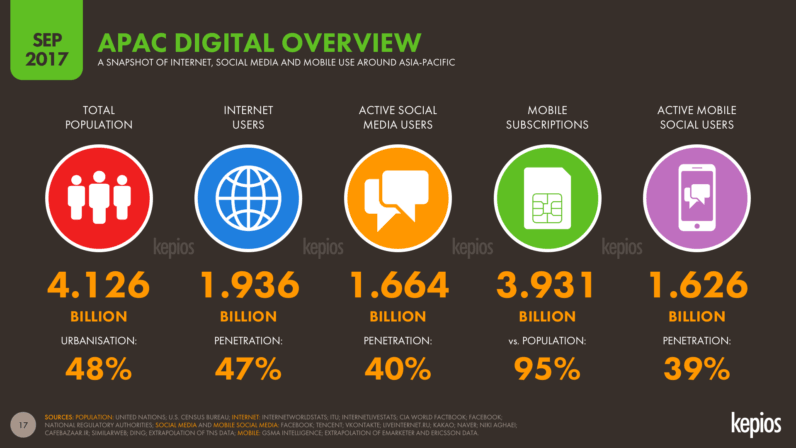 The number of active social media users in East and Southeast Asia is four times bigger than in North America. This makes the region number one in the world with over 1.5 billion active users. Thailand, for instance, is the country with the ninth largest number of Facebook users. Impressive by its own, but even more impressive when you figure out that this means 70% of Thailand’s population using Facebook. As the mobile web is number one medium around the country, people rarely look for the goods from the browser search. Mostly, they will collect the info from the reviews and posts published throughout their social networks. It makes a perfect soil for creating the demand and using influencer marketing to promote brands through influencers with an audience even as little as one thousand followers. The audience in Asia craves for the extremely personal, intimate relationship with influencers. They fancy the communication, personal details, very often updates, excessive emotions and abundant sharing. And the KOLs here mastered the art of keeping their followers engaged every second. They are sharing the most private tidbits of their lives and keeping next to no distance. Besides, as they’re well aware of the technical peculiarities of their audience (bad bandwidth internet and only the smartphones to enter the web), they make perfect content: short, personalized, and tailored for every channel in particular. As a result, their reach brings higher quality engagement. Case study: Disney is heavily engaging the micro-influencers around Asia. Namely, promoting the Star Wars franchise in the region is tricky because people have very little knowledge of the subject. In Vietnam, for example, they don’t know the Star Wars at all, which makes billboards and paid ads useless. Only real people can bring the awe to their audience directly and stimulate people to buy a ticket by showing an example. Like mymmu, a fitness blogger from Thailand, who now appears in her feed geared in SW merchandise from head to toes to promote the Last Jedi. Who are these cool kids rocking the market? Different types of influencers bring different sets of benefits. Lots of brands are simply using the actors and pop stars who have millions of followers. For instance, Chi Pu, a Vietnamese singer/actress, can bring you 30K likes per post out of her 8.5 million following. Yet, that doesn’t mean you get a quality audience interested in your product. The very word “micro-influencer” covers the range from 1K to 100K followers, with some wiggle space on top. Seemingly small, they beat celebs engagements rates in a breeze. In the example above, the 30K from 8.5 mln makes less than 0.3% engagement. Compare it with the case study below, featuring mom bloggers working for about 50 times smaller fees. Case study: to introduce a new product on market and test the e-seller platform, a sanitizer brand encouraged Instagrammers to share the post and redirect followers to the e-shop link. Out of the 112,000 total audience reach, they got 2500 likes and comments, which equals 2.2% engagement rate. What’s more, 138 clicks to the product made over 0.12% direct sales conversion. If only the above-mentioned celebrity was any closer to these numbers, her post could bring over ten thousand sales. But that doesn’t happen. The girls and sometimes boys making the reviews of the beauty products and promoting various brands are very, very often to see in the Asian social networks. While the top players in this niche would make good money and often collaborate with the specific brands as ambassadors, there is a legion of smaller and aspiring influencers, and the best part is that you can often get them to promote your product for a modest reimbursement of sending out the free samples. We’re not speaking the PSY here, of course. Rather, think of the category of “Asia’s got talent” participants. Each of them has a social profile with some devoted followers. As people in Asia adore the singing, dancing, and musicians (Bollywood and karaoke are the proofs), they would listen closely to the stars even that small, and often follow the recommendations. A poll in Vietnam showed that 60% of the teenagers would follow the fashion style from their favorite artists, and 50% would be influenced by their lifestyle advice. Case Study: A Korean snack brand, for instance, gained attention by using home-grown talent in the form of pop stars and actresses. They did extremely smart move by adding a twist of urgency to the content angle. Influencers described the difficulty of getting their hands on the coveted snacks. No wonder the brand repeatedly sold out, reinforcing an aura of desire around it. The ones who probably started all this fever. It’s really hard not to buy the named protein power or slimming tea when you see the daily updates with the perfect bodies and shredded six-packs. Especially, when it comes from a girl next door. Nowadays, this category gets engaged in promoting all kinds of products, not only the fitness goods. Insurance companies, for instance, would engage them to bring the life insurance products to people who care about their health – pretty logical. Yet, the majority of case studies would still involve the foods, drinks, and supplements. Case study: Ayam Brand aimed to run a long-term influencer marketing campaign to promote its products. They invited a pool of engaged influencers and tracked their post-performance. Good performing ones were selected as Ayam Brand’s social ambassadors and engaged in a long-term community building plan. Worldwide phenomena, pet blogs can get a multimillion following easily. The most popular social account in Japan, for example, is the Instagram of the Maru Taro, Shiba inu dog with over 2.5 mln followers. Recently the couples started to invite Maru Taro to their weddings as a guest celebrity. There is a mass of smaller cat and dog accounts, and you couldn’t find a better audience for your pet-related brand. The lifestyle influencers cover it all from wellness to traveling, and their hobbies vary widely. Veganism, minimalism or entrepreneurship are just to name few. The lifestyle influencers carve their niche in the audience that relates to them on certain parameters. As blogs emerge on something as little as one hashtag, the marketers get a chance to target campaign in a very certain niche. Micro influence works well with the bright and catchy products: sports apparel, bright snacks packages or cars. It’s harder to promote software, tech solutions or other less tangible services. The rise of “become the influencer” platforms made the social web of today home to a millennial digital entrepreneurial camaraderie. Brands make a good use of it by handpicking ripe ambassadors, ready to promote their values, from the army of new social influencers. A proof of micro-influencers efficiency would be the fact that most agencies doubled their budget for the influencer campaigns this year. Hundreds of new influencer agencies appear in Asia every day while the bigger Western players like Maker Studios, StyleHaul and adMingle are also entering the market. The trend is booming the digital marketing as much as Asia is booming the global market – and both are not giving up their positions to anyone. This article was written by one of our guest writers. The author’s views are entirely his or her own and may not be indicative of the views of Market Motive. After a decade of successful marketing career, Samantha Engman switched to her all-time passion – content creation for aspiring businesses. Don’t miss out her articles at Bid4papers and Twitter for more useful tips on building your success online.